We appreciate that you landed on our site for the Wordalot Levels 391-400 Answers. In our website you will be able to find out Wordalot Answers. This is a famous game created by MAG Interactive which is having a great success. It is very simple to play it since this game is very similar to a crossword. 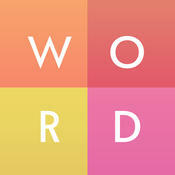 This means you need to find all the possible words based on the picture given for each level. If you can’t find any solution for the level you are having problems in solving than please send us an email and we will reply within 48 hours.